Two novel new apps hit the iOS App Store this week— Umoove Experience demonstrates Umoove's new head tracking technology with a simple game and Horizon helps iOS device owners capture video in landscape no matter the device's orientation. 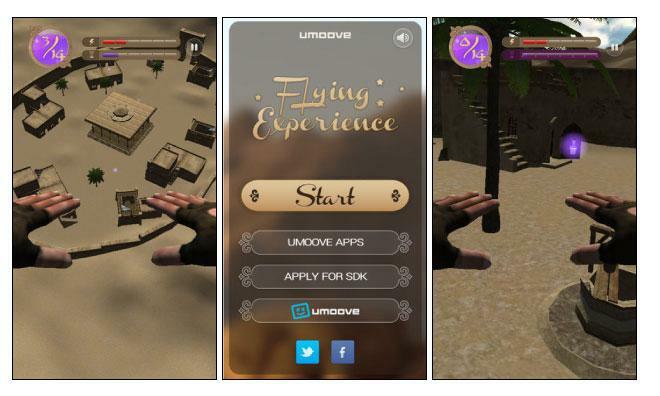 Umoove Experience is a simple flying game that lets players control their character by moving their head, rather than moving or tapping the device. The game uses the front-facing camera on an iOS device, requiring no extra hardware for the head tracking to function. After a quick calibration, players are set free to fly around a small village, collecting magic potions that add energy for further exploration. Umoove designed the game as a technical demonstration for their head tracking algorithms, and developers interested in adding the technology to their own applications can visit Umoove's website. Umoove Experience is available now as a free, 53.1-megabyte download from the App Store. Horizon helps iOS users capture video in landscape mode, regardless of the device's orientation. The app overlays a horizontal viewfinder onto the camera's live video feed, and only the portion of the image that falls within that viewfinder will be recorded. Users can choose from multiple capture resolutions including VGA, HD, and Full HD and switch between 1:1, 16:9, and 4:3 aspect ratios. AirPlay mirroring is supported while recording, and the app features eight built-in filters. In addition, video can be recorded with either the front or rear camera and geotagged. 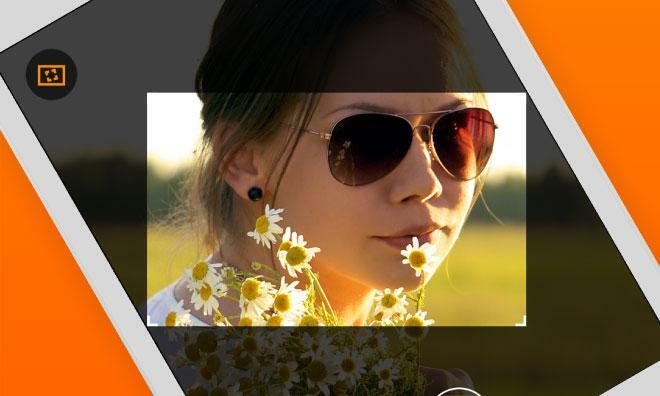 The app also allows users to lock focus and exposure. Horizon is available now as a $0.99, 4.3-megabyte download from the App Store.